Operating Voltage : AC 220 - 240 Volts 50/60 HzStandards: Conforms to IEC 297-1Noise : 44 - 49 dB (A)Material : 0,8 mm Steel Fan Speed: 2700 - 31.. 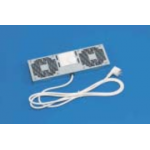 Fan Single With Guard + Cord L= 2m -RAL9005 ..
Easy add-on on the rear panel With two axial fans With thermostat Single fan technical data Type 1: Max. vol..
For forced rack ventilation, (three-piece) Installtion in cover, no loss of installati- on space Incl. 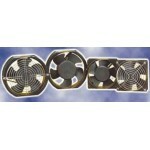 2 fans (117 m3/h) &nbs..
USED FOR COOLING OF ELECTRICAL EQUIPMENT IN RACK WHERE VENTILATION UNIT IS NOT USED. .. 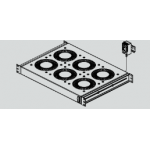 Ventilation units and fans are used to improve the cooling of equipment installed in the rack. Ventilation unitsare mounted either on 19" vertica.. 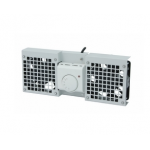 Ventilation Units Ventilation units and fans are used to improve the cooling of equipment installed in the rack. Ventilation units are mounted ..
Easy add-on on the rear panel With two axial fans With thermostat Single fan technical data Type 1: Max. volume flow (free b.. 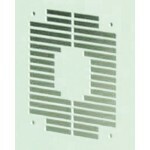 Ventilation Units Ventilation units and fans are used to improve the cooling of equipment installed in the rack. Ventilation units are mounte..
Conteg frame for installing a ventilation unit to the top or bottom of the frame standing cabinets. .. 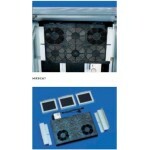 Ventilation Units Ventilation units and fans are used to improve the cooling of equipment installed in the rack. Ventilation units are mount.. 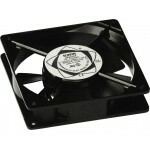 Ventilation units and fans are used for cooling equipment installed in wall and free standing racks. Ve..